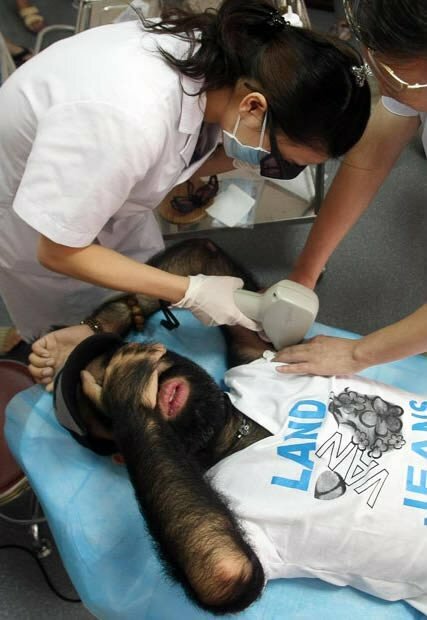 One of China's hairiest men go under the knife for not removing his mane of hair, but to shorten the nose. 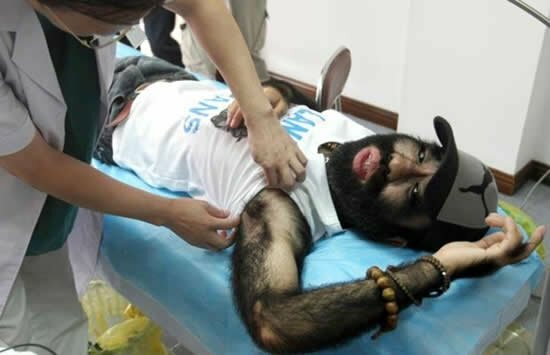 China's hairiest man, Yu Zhenhuan undertake laser hair removal treatment hair covers 96 percent of Yu's body. 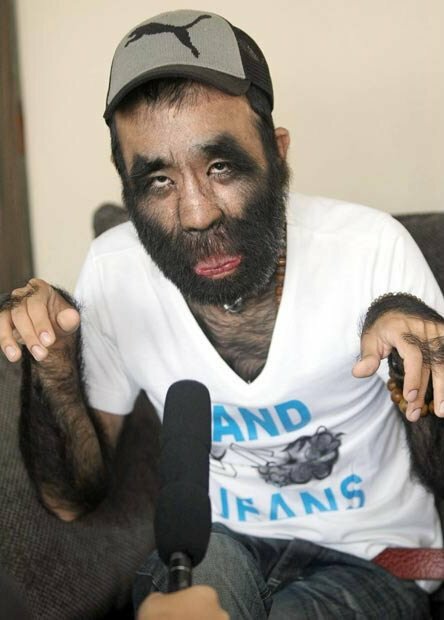 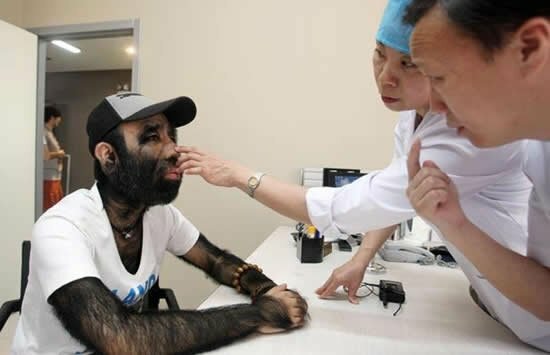 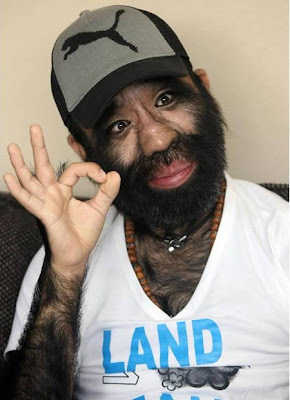 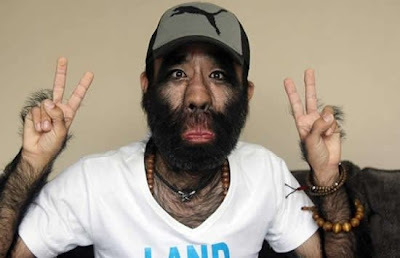 You Zhenghuan, affectionately known throughout China as the "Hairy Man", is covered from head to toe with thick black hair with the exception of the forehead and fingertips.